Today's recipe is another addition to my slowly growing list of animal doughnuts – called "doubutsu doonatsu" in Japan where they originated. This time it's the infamous PuppyCat from Natasha Allegri's "Bee & PuppyCat" web series on Cartoon Hangover! 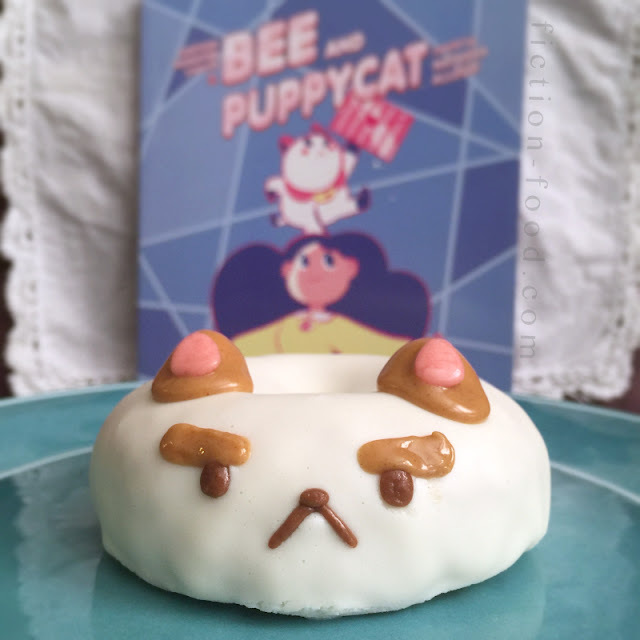 Because I love the series so much, and the simplicity of PuppyCat's design with his perpetually disgruntled expression lends itself so well to food art, this edible interpretation was inevitable. Also, "Bee & PuppyCat" takes a lot of inspiration from Japanese culture and anime, so I thought the doubutsu doonatsu form was very appropriate ;). I can't wait for the upcoming episodes, AND did you know there's going to be an official Bee & PuppyCat Cookbook from Frederator & Viz Media/Perfect Square?? It's already available for pre-order! For my other "Bee & PuppyCat" foods, click here (eggplant lasagna) and here (PuppyCat cookie pops). Click here to watch "Bee & PuppyCat" on YouTube (the link takes you to a playlist; I suggest watching videos #5, #19, & #20, in that order). The book in the background of the photo above is Bee & PuppyCat vol. 1 from Boom! Studios. 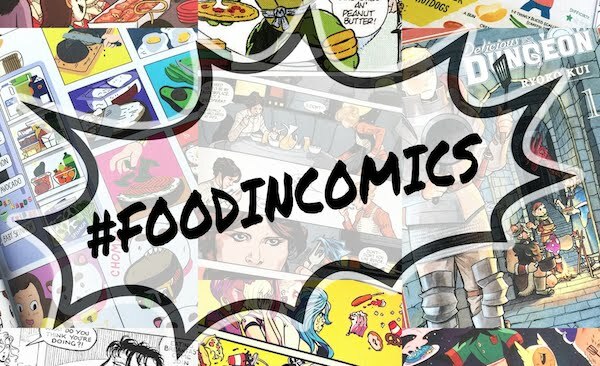 There's a bunch of food in it, including a recipe in the short comic "The Perfect Sandwich" by Aimee Fleck! 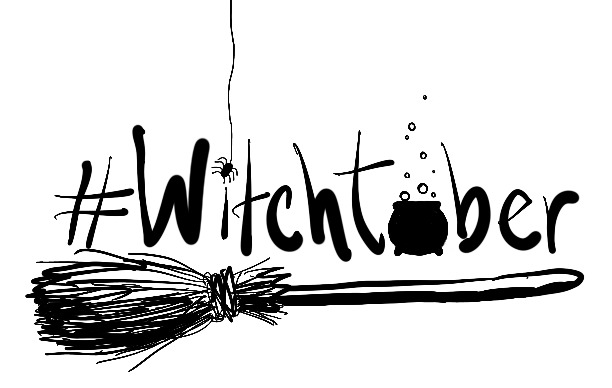 Check out Jesse Doogan's article about it over at "Book Riot"! 1. Line a large tray with foil or parchment paper & sit a wire cooling rack on top. Place the doughnuts on top of the rack. Separate the almonds into pairs for each doughnut, & then press them halfway, round-end-up, into the tops of the doughnuts about 1" - 1 1/4" apart to become ears. 2. Stir the frosting & then heat it in the microwave for 30 seconds. Stir again & heat it for 15 seconds more if needed, to get it to pouring consistency. Spoon the frosting over the doughnuts to cover them completely, creating as many layers as needed so that the doughnut & almonds do not show through. The excess frosting on the tray can be scooped back into the frosting container & reheated for more layering as needed. Let the doughnuts sit undisturbed for about 10 minutes for the frosting to cool & solidify. 3. In a small bowl, heat the peanut butter in the microwave for about 30 seconds. Stir & heat for another 15 seconds, or as needed for the peanut butter to become a little runny. Spoon a small amount of the peanut butter onto each doughnut "ear". 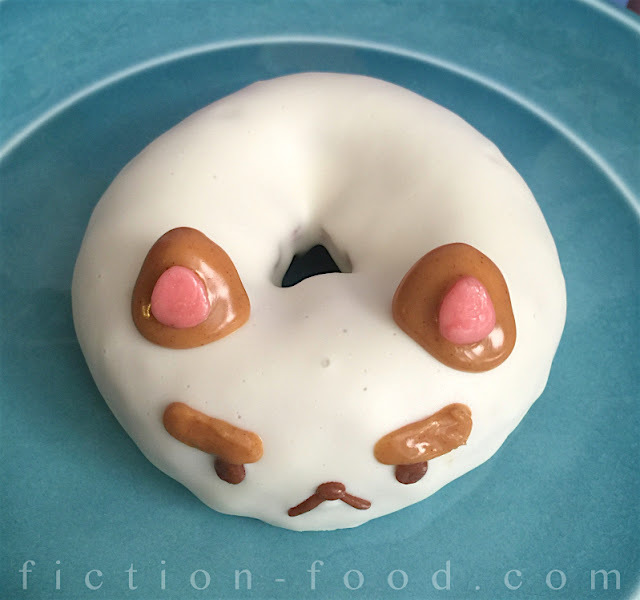 Use a toothpick dipped in peanut butter to dab on the thick Puppycat eyebrows onto each doughnut. Let cool for a few minutes. 4. Lightly butter your fingers & pinch off several tiny bits of the Tootsie roll. Roll these tiny bits into two thin strips for each doughnut, about 3/8" long, & place them on the front center of the doughnut in an upside-down 'V' shape to become Puppycat's mouth. Place a tiny oval above each mouth, on the apex of the strips, to be the nose. Roll two small balls of Tootsie roll for each doughnut & then flatten them between your fingers to no more than 1/4" long. Using a toothpick, carefully place the little discs just under the eyebrows to become Puppycat's eyes. 5. Re-butter your fingers & break off 8 little pieces of pink Starburst. Flatten & shape them into small rounded triangles about 1/4" wide at the bottom & 5/16" tall at the point. Using a toothpick, place one triangle each onto the peanut butter-coated "ears" of the doughnuts. Now your Puppycat doughnuts are done! Oh my gosh, these are perfect! They turned out so cool.